Do you have chew toys for your dogs? In our household, we have antlers and a variety of chew toys for Reya. As any dog owner knows, it is great to have a variety of options for your dog to avoid boredom and promote good dental health. Recently, we have noticed Reya biting her nails and avoiding her antler, so we added some new chew toys to her toy collection. 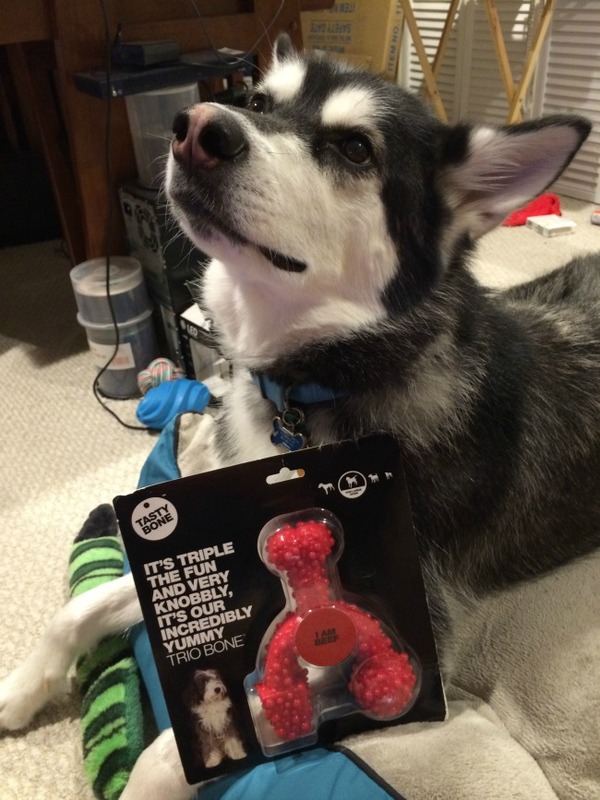 While researching different toys, we were approached by Tasty Bone, who asked us to review two of their flavored chew toys. Looking for quality chew toys for your favorite dog? If so, we think you will love Tasty Bone toys. These unique chew bones are designed to meet the needs of powerful chewers while also taking care of their dental health. While chewing on these bones, they are enjoying great doggy approved flavors and taking care of your dogs teeth through ridges, bumps, and other unique grooves to promote good oral hygiene during play. As well, the small fragments are safe to ingest and will pass through your dog without causing any harm. So far, Reya is a big fan of these chew toys. While she isn’t usually a heavy chewer, she does love to have hard toys for chewing, especially while we are watching TV or she is putting up with mom and dad playing computer games. Whenever we have started gaming, she gets on her bed, adjusts herself, and enjoys chewing on her beef flavored Tasty Bone. It has also helped her deal with boredom in the car. 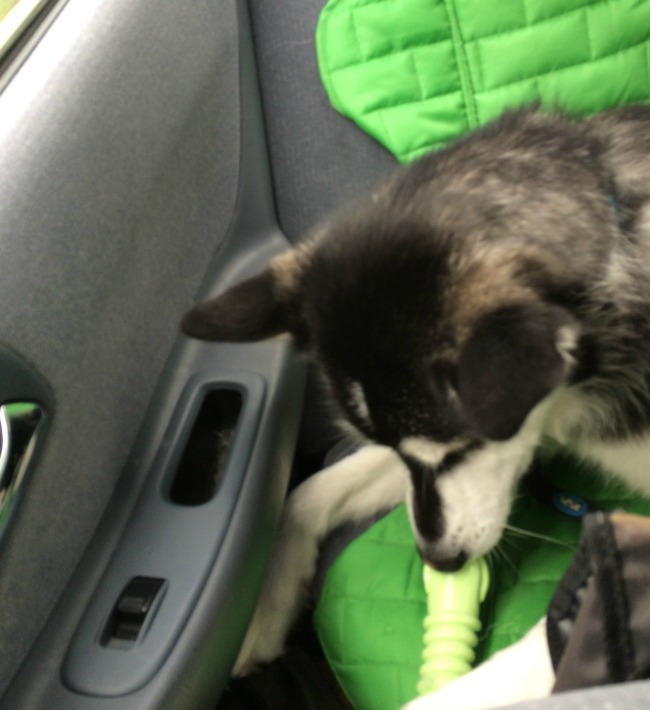 During our recent late Mother’s Day trip home, she chewed and snuggled with her parsley flavored bone for close to an hour while Mom and Dad dealt with the driving. To me, this is an awesome toy since it helps keep tartar off her teeth and keeps her entertained during times where she would wander, fidget, or just find a nice sleeping spot. Feel free to see for yourself in the video below how much she loves her bones. Based on our own experience, we are happy to give Tasty Bone toys an A rating! 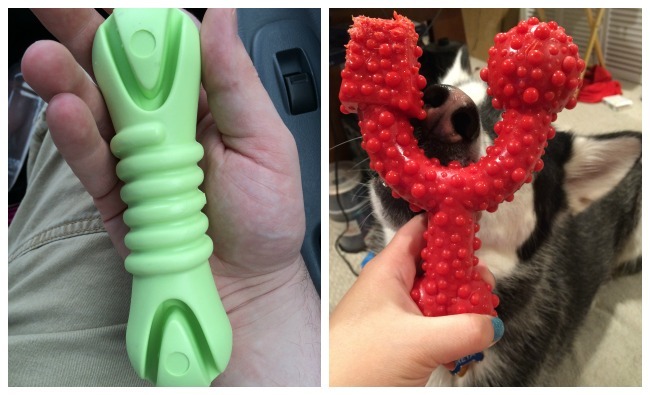 Want to buy some of these awesome chew toys for your favorite dog? You can find Tasty Bone toys at your local pet store or on Amazon.com. We are certain that your dog will love these yummy chew toys! Want to see more awesome dog items? Check out Rolf C Hagen on Social Media! I seriously love your dog, so cute in the photos. I will have to check one of these out for our two pups. My son and daughter-in-law have two pups who absolutely destroy all chew toys. These look like they might work well for those rambunctious girls!